Digitalization in industry applies to all product life cycle’s stages. An automation of the early conceptual design phase promises to make use of the maximum benefit, since decisions in the early development phases have the greatest potential for reducing the product’s life cycle costs (Pahl et al. in Engineering design, a systematic approach. Springer, London, 2007). There are several approaches to automate the early development phase: from more individual code or script-based solutions to formalized design methods such as knowledge-based engineering or model-based systems engineering. Running high-fidelity simulations leads to an improved decision basis in the early design phase, where the significant decisions, as the product architecture, are taken. 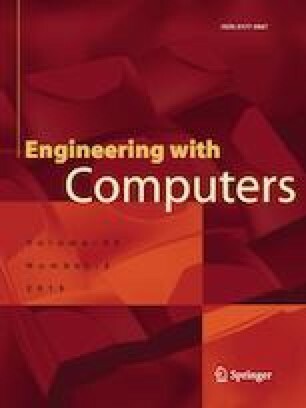 This work shows a generic interface between the Unified Modeling Language or Java and continuum mechanics (CM) engineering tools. The interface introduces an application-independent layer containing all the (product) information to create, run and postprocess CM simulations. The boundary and physical conditions are modeled application independently in their generic representations. This approach offers the following advantages: first, an easy creation of engineering workflows through the automated generation and execution of engineering simulations. Second, the engineer is freed from the need for simulation application-specific knowledge. Finally, development costs are saved as commercial simulation tools, become arbitrarily interchangeable with open-source simulation tools. The work was supported by the project digital product life-cycle (ZaFH) funded by the European Regional Development Fund and the Ministry of Science, Research and the Arts of Baden-Wrttemberg, Germany (www.rwb-efre.baden-wuerttemberg.de).